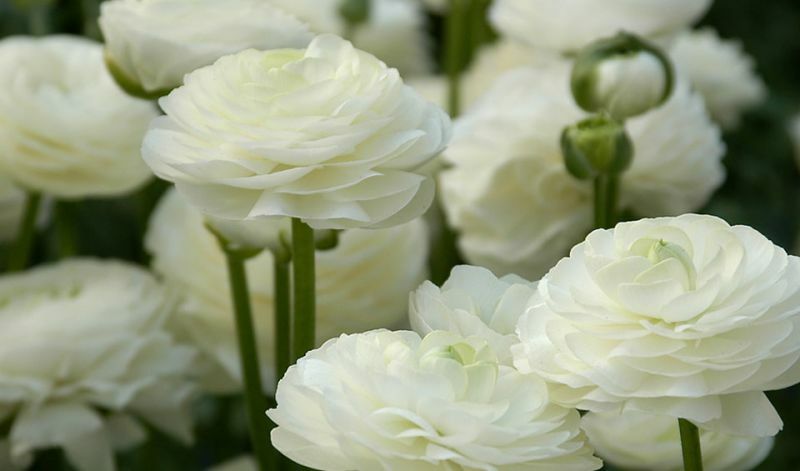 Soak the corms of ranunculus in luke-warm water for 3-4 hours before planting. In mild climate zones they should be planted in Fall, in colder climates planted them in Spring after the danger of frost has passed.Choose a spot with well drained, sandy, slightly acid soil. Plant the corms with the 'claws' pointing downward. 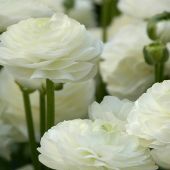 Ranunculus like cool nights and sunny but not hot days. They grow best when the soil around the crown is dry but the roots are moist. Do not overwater.